One of the more influential group of settlers in Scotland were the Scandinavians who settled in the very north of Scotland. The progenitor of Clan Gunn is though to be one such Scandinavian, Gunni, who came to the north of Scotland after his wife inherited some lands from her brother, Harald, who was the Jarl of Orkney some time during the 12th century. Gunni is generally thought to have been one of the many Vikings who chose to settle in Scotland; his grandfather Sweyn represented the more popular view of Vikings though, as a raider, 'Gunni' translating as 'war'. George Gunn was the coroner of Caithness at some point during the 15th century and is thought to be the first Gunn chief recorded in history. The Gunns had become well established in Scotland by the 15th century, however, this also meant that there was jealousy and rivalry amongst their neighbours. During this turbulent time in Gunn history the Earls of Caithness and Sutherland chose to seal a pact for the destruction of Clan Gunn c.1586. 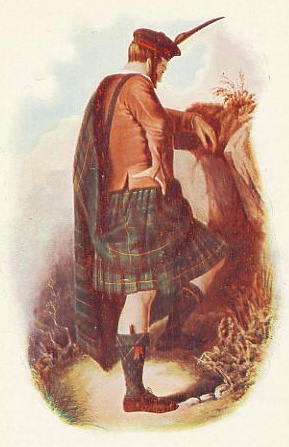 The Gunns were being threatened from many sides and sought to form new alliances which were found when Gunn of Killearnan married the sister of the Chief of Clan Mackay. The family recovered though and gained new estates of Badenloch. The Gunns of Braemore at this time were more popularly known as the Robson Gunns. This branch of the family only retained their Scottish estates until the 18th century when they were forced to sell them. The Government won the support of the Gunns during the Jacobite risings in the 18th century. The clan is led by Commander Iain Gunn of Banniskirk and a new Gunn chief is being sought. The clan is still alive today as clan societies across the world seek to unite the dispersed Gunns. Septs of Clans: Enrick, Galdie, Gallie, Ganson, Gauldie, Gaunson, Georgeson, GUNN Henderson, Inrig, Jameson, Jamieson, Johnson, Kean, Keene, MacCorkill, MacCorkle, MacCullie, MacIan, MacKames, MacKeamish, MacKean, MacMains, MacManus, MacOmish, MacOomas, MacRob, MacWilliam, Mangus, Main, Mann, Manson, Manus, Neilson, Nelson, Robinson, Robson, Robison, Sandison Swan, Swanney Swanson, Will, Williamson, Wills, Wilson, Wylie, Wyllie. TRANSLATION: "Either peace or war"